According to the Encyclopedia Titanica, a man survived the fire and sinking of a ship in 1871. About 40 years later, he decided he was ready to overcome his fears and sail again. Unfortunately, the man died in the sinking of a new ship, the Titanic. The Washington Post explains a tale of how a slave took over a Confederate ship in 1861 and delivered it to the Union. In a matter of time, he was given the ship to command during the Civil War. Following the war, the man bought the house he was a slave in and became a U.S. congressman. A Japanese Seamen named Chunosuke Matsuyama sent a bottle in 1784 stating that his ship had wrecked. About 150 years later, the bottle was found washed up in the village where he was born. A ferry with 852 passengers sank in the Baltic Sea in 1994. To this day, this ship remains at the bottom of the sea. For this reason, it’s illegal to dive in the Baltic. Here’s one for you World War II history buffs. A Dutch warship was disguised as a tropical island to escape any sort of detection by the Japanese. Believe it or not, this vessel was the only ship of its class to survive. According to NCBI, a study was published in 2004 showing that retiring to a cruise ship was often as cost effective as retiring to an actual retirement home. The same study concluded that such a retirement strategy led to a higher quality of life. The great Edgar Allen Poe wrote a novel about a shipwreck where the survivors ate one of their own, whose name was Richard Parker. Decades later, a yacht called the Mignonette sank, leaving just four survivors. They also ate one of the survivors, a cabin boy whose name, ironically enough, was also Richard Parker. According to ThoughtCo, it was customary for merchant crewmen to join a group of pirates whenever their ship was stopped. Ever wonder where the word ‘quarantine’ is derived? Well, according to PBS, quarantine comes from the Latin word for 40. This is the number of days a ship had to wait to dock because of the plague. Per the Huffington Post, the chef of a sunken ship in 2013 survived for three days under the ocean after taking refuge in an air pocket of the ship. 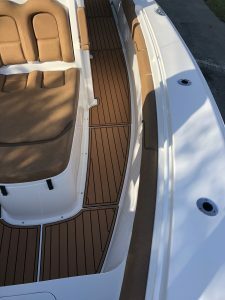 Now that you’re more knowledgeable about boats, we want to help you better understand the importance of marine decking. 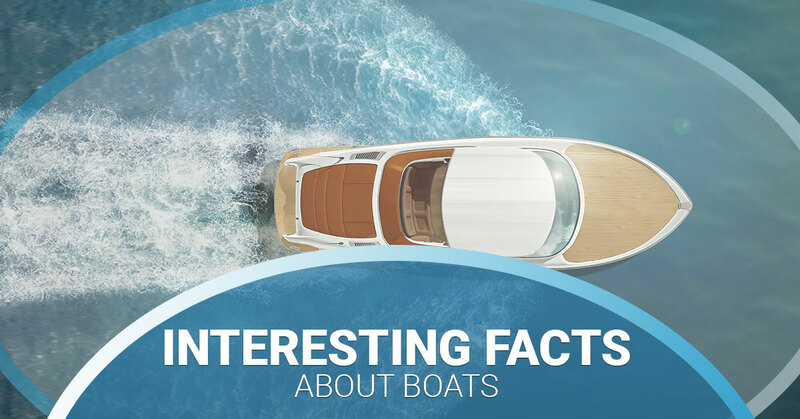 The fact is that a vessel’s flooring becomes worn-out over time. 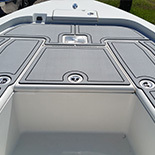 So if passengers have a difficult time maneuvering inside the boat because it’s cracked or slippery, it’s probably time to invest in non skid decking. 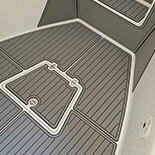 At Marine Customs, we offer anti-slip decking for just about any boat or personal watercraft. Our fabricator uses the industry’s best EVA products to keep you and your passengers safe. Not to mention, we have custom graphic design options available. 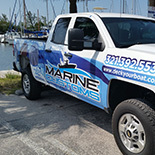 See how Marine Customs can transform your boat. Reach out today.